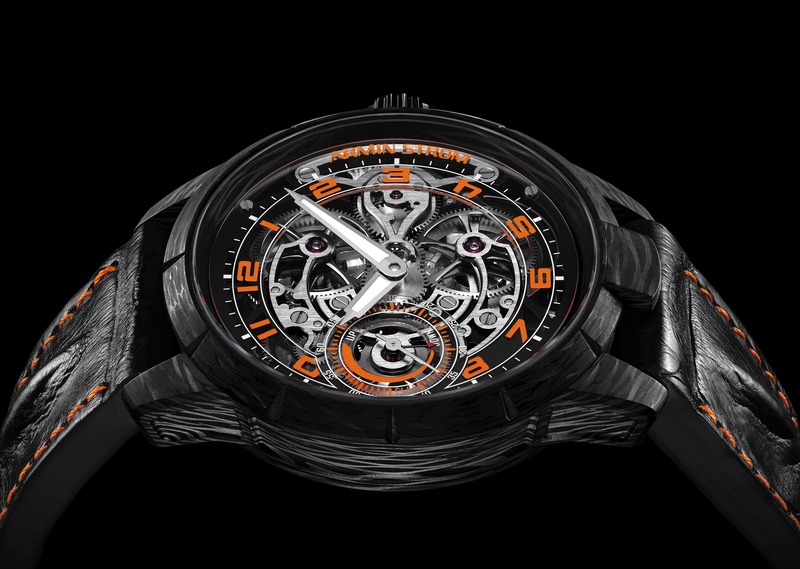 At the upcoming Baselworld show, which begins March 8th, Antoine Preziuso will unveil the Grand Tourbillon Sport GTS. The GTS comes in a 52 x 45 mm tonneau shaped case made of ChromeCobalt (Co-Cr), which is a very strong cobalt and chromium alloy. Powering the GTS is hand-wound caliber APG/28T with 19 jewels, a frequency of 21,600 vph (3Hz) and a power reserve of 110-hours. Functions include hours, minutes and tourbillon seconds. A sapphire crystal on the front and back allow a view into the beautifully finished skeleton movement. Water-resistance is 30 meters. Comes with a black crocodile strap with red top-stitching and a folding clasp. This timepiece can only be purchased in Geneva, Switzerland – part of the purchase price includes a business class flight to Geneva, including two nights at a luxury hotel.